First Coast Connect Host Melissa Ross and State Senator Audrey Gibson. Jacksonville’s own Audrey Gibson is assuming a prominent role in the Florida Legislature. Senate Democrats last week selected Gibson as their leader for the next two legislative sessions. She joined us on Tuesday’s First Coast Connect to take listener questions and address a variety of issues, including climate change. Leigh Cort of the Women’s Food Alliance spoke with Aaron Gottlieb of Native Sun. Gottlieb has been a local trailblazer in bringing fresh organic food to Jacksonville. The annual Gingerbread Extravaganza is an amazing confection creation that’s about to open at the Jacksonville Historical Society in Old St. Andrews Church, 317 A. Philip Randolph Blvd., right across the street from the Jacksonville Veterans Memorial Arena. For the first time, it’s going to stay open for three days after Christmas. Admission is $10 dollars for adults and $3 for kids. Jacksonville Historical Society Executive Director Alan Bliss joined us with a preview. Award-winning artists from around the world are coming to Jacksonville this holiday season. Don’t Miss a Beat is presenting “Art in the Park,” a jazz concert featuring Eric Carter, this Friday at the DMAB Community Art Center inside the Edith Brown Ford Community Center at 2839 West Beaver Street. Felicia Bass, Director of Operations for Don’t Miss a Beat, told us what guests can expect. It's that time of year where we all stop and take a moment to give back. Today is the day. Giving Tuesday is here. #GivingTuesday brings millions of people of all ethnicities, religions, and backgrounds together to make a difference in their neighborhood. You can be a part of this global movement for good when you donate to WJCT. 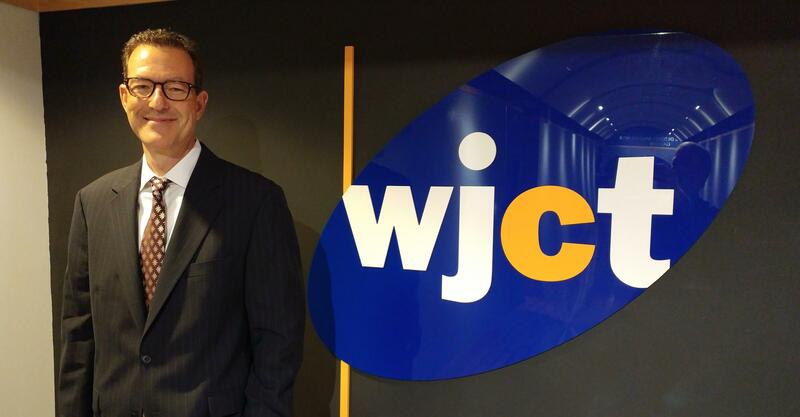 WJCT CEO David McGowan joined us with a look at what viewer and listener gifts mean for public media in Jacksonville. The government has released a new climate report that says climate change is already causing more frequent and severe weather across the U.S., and the country is poised to suffer massive damage to infrastructure, ecosystems, health and the economy if global warming is allowed to continue. Florida activists are weighing in as President Donald Trump says his administration will remain a "steadfast partner" of Saudi Arabia, despite the CIA's assessment that Saudi Crown Prince Mohammed bin Salman personally approved the killing last month of journalist and Washington Post contributing columnist Jamal Khashoggi. A new bill is already moving through the Jacksonville City Council after voters overwhelmingly approved a straw ballot that calls for voters to get a say in any discussions on selling JEA.